„Energy in good hands” of PSE Operator S.A. Participating in 25th Bielsko–Biała International Power Industry Fair ENERGETAB 2012, which was held on September 11 till September 14, 2012 Computers & Control was rewarded with „Energy in good hands” statue of PSE Operator S.A. We were awarded for „Digital Fault Recorder System ARCHI 9000”. 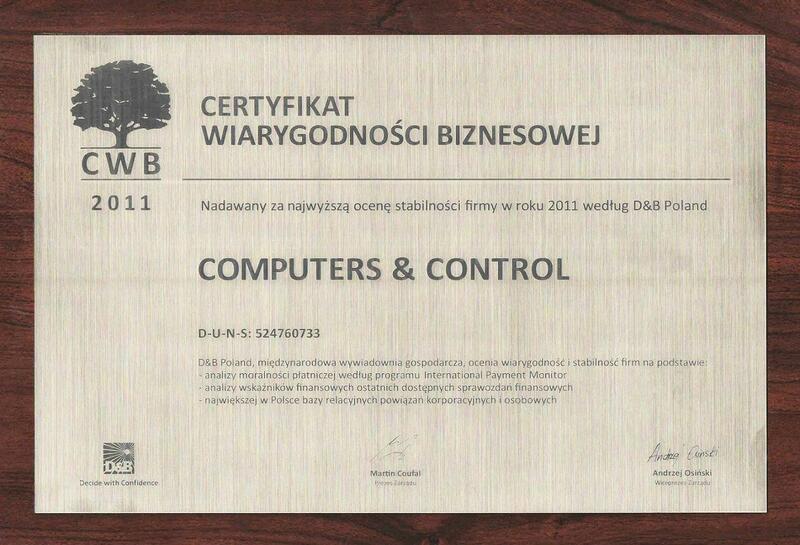 In 2011 we were awarded with Certificate of Business Credibility – the prestigious title awarded by Dun & Bradstreet Poland. The award can be obtained only by the companies which fulfil strict criteria. Certificate of Business Credibility guarantees that its holder is a reliable partner and is worth to do business with. Awarded with the certificate are companies whose financial data guarantee high profitability and financial liquidity, with a negligible level of debt and recorded overdue payments. From 13th till 15th September, 2011 in Bielsko-Biała was held the 24th Bielsko-Biała International Power Industry Fair ENERGETAB 2011. 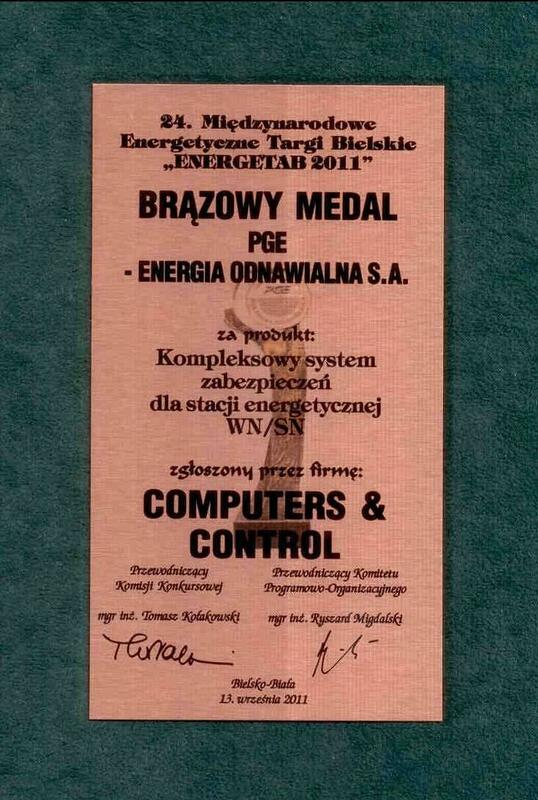 During the fair Computers & Control was rewarded with Medal of PGE EO for „Complex protection devices system for HV/MV electrical substation”. Since the year 2000 editorial staff of „Puls Biznesu”(eng. 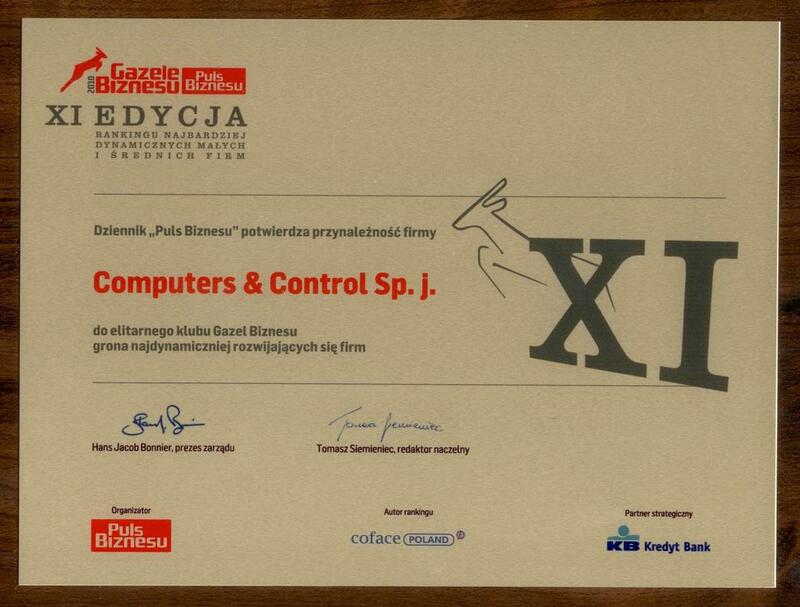 „Business Pulse”) has been awarding the most dynamically developing Polish companies. 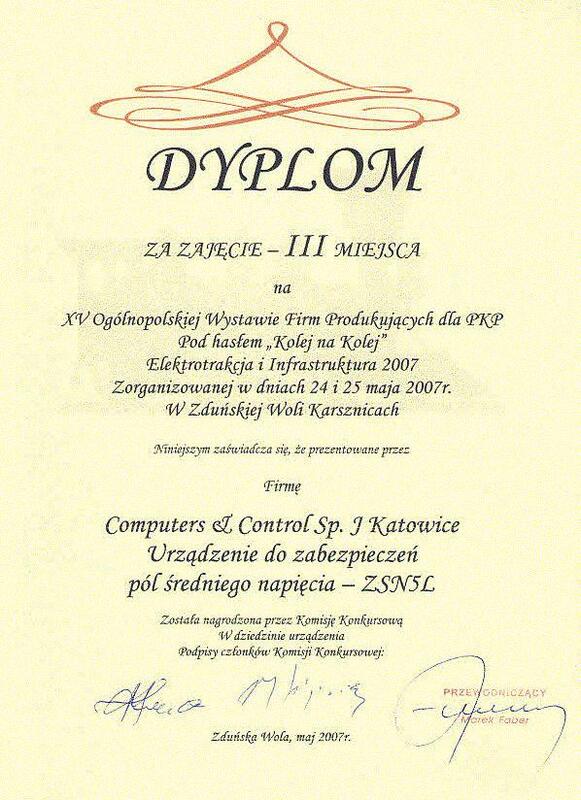 In the 11th edition ranking Computers & Control was honoured with the title of Business Gazelle in the year 2010. According to „Puls Biznesu”, gazelle is medium size company, that manages well competition with even far bigger competitors thanks to extremely dynamical development. Gazelle of Business considers also companies that enjoy excellent reputation and integrity towards contractors and customers. On 4th and 5th September, 2008 in Zduńska Wola Karsznice, there was organised the 16th All-Polish Exhibition of Manufacturers producing for Polish State Railways. The exhibition was organised under the title „Kolej na Kolej” (eng. „Time for Railway”) Electric Traction and Infrastructure 2008. During the exhibition Computers & Control won main award – 1st place for: Control and supervision devices for electrical power engineering devices. .
On 24th and 25th May, 2007 in Zduńska Wola Karsznice, there was held the 15th All-Polish Exhibition of Manufacturers producing for Polish State Railways. The exhibition was organised under the title „Kolej na Kolej” (eng. 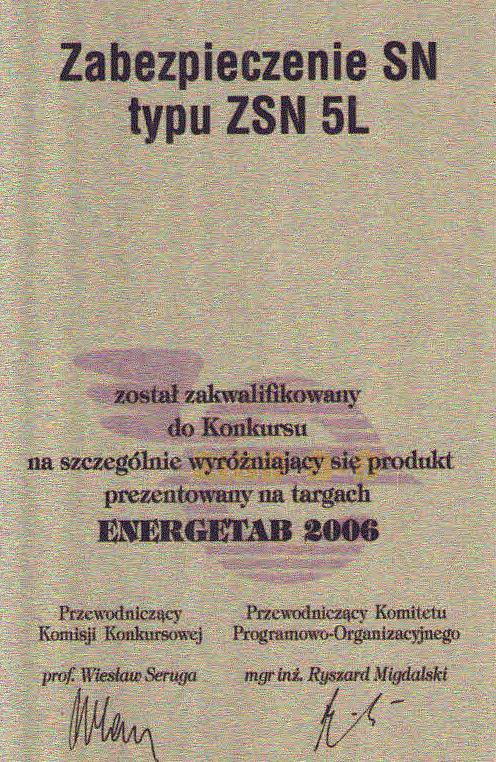 „Time for Railway”) Electric Traction and Infrastructure 2007. 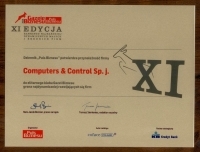 During the exhibition Computers & Control was awarded the 3rd place for: MV bays protection device – ZSN 5L. 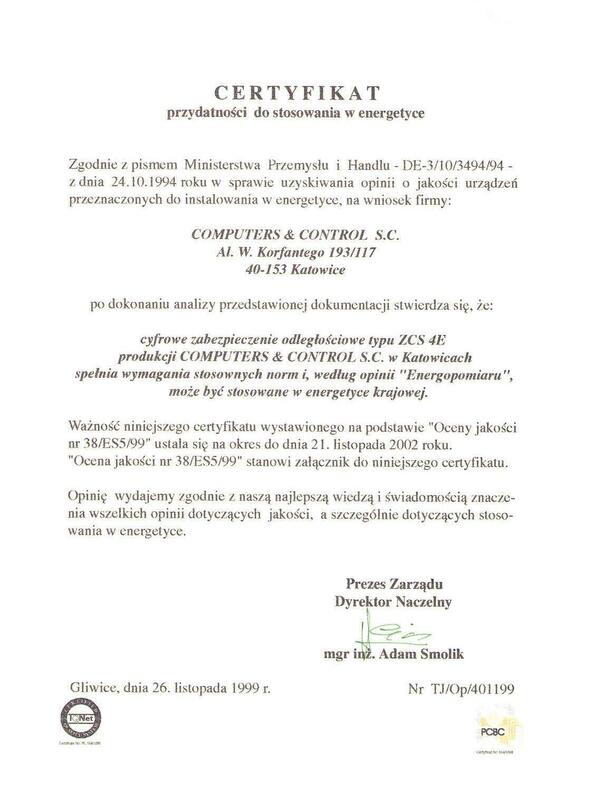 During 19th Bielsko-Biała International Power Industry Fair ENERGETAB 2006` the device: MV Protection type ZSN 5L produced by Computers & Control was qualified for contest for particularly distinguishing product presented during Energetab 2006`fair. 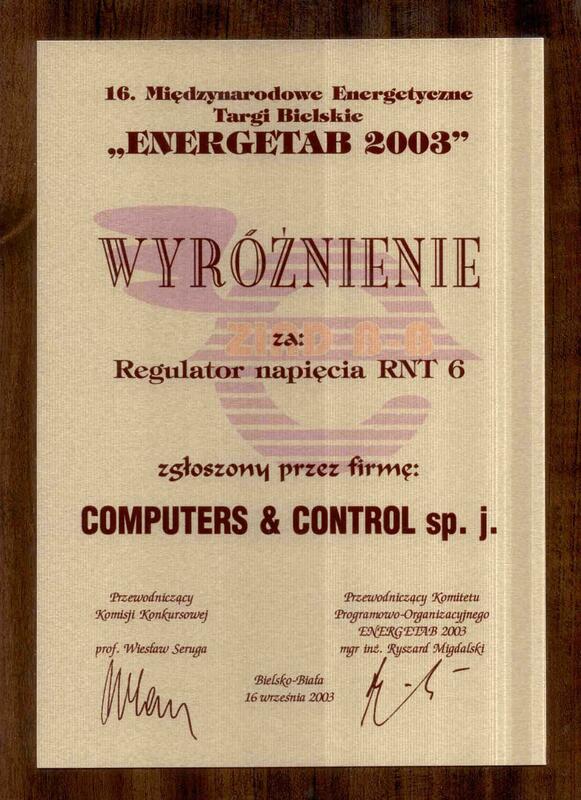 During the 16th Bielsko-Biała International Power Industry Fair ENERGETAB 2003 Computers & Control was honoured with accolade for the device: RNT 6 Voltage Regulator. 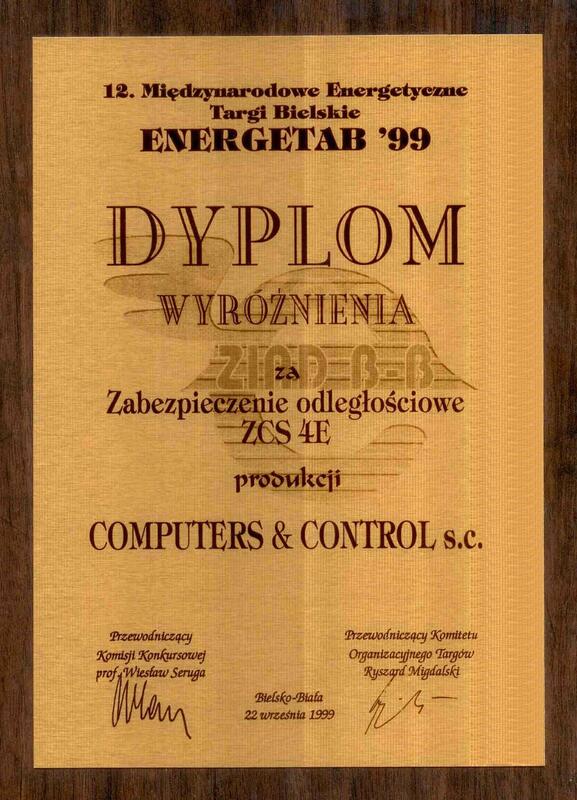 In November 1999 Computers & Control received the certificate of utility for power engineering for device: Digital distance protection the device type ZCS 4E. 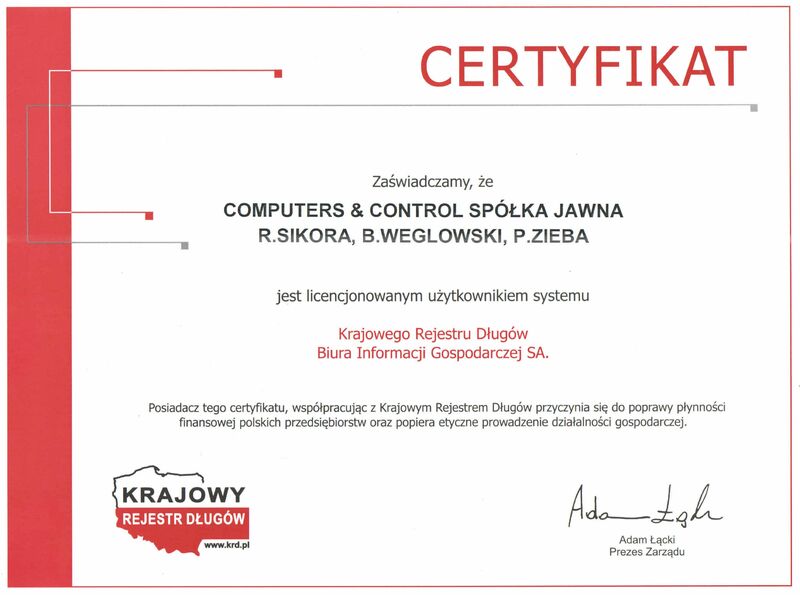 The certificate was issued by Power Research and Testing Company Energopomiar. 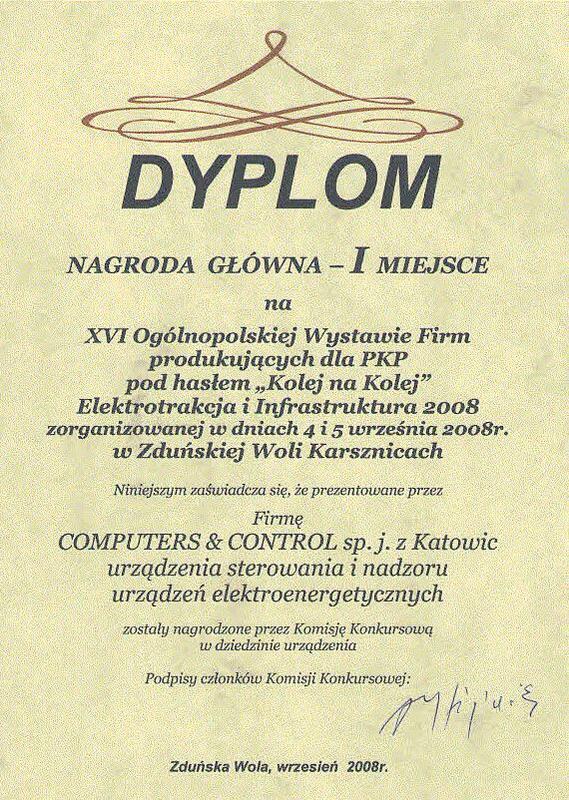 Participating in 12th Bielsko-Biała International Power Industry Fair ENERGETAB 99` in fair competition Computers & Control was honoured with the diploma for the device: Distance protection device ZCS 4E. 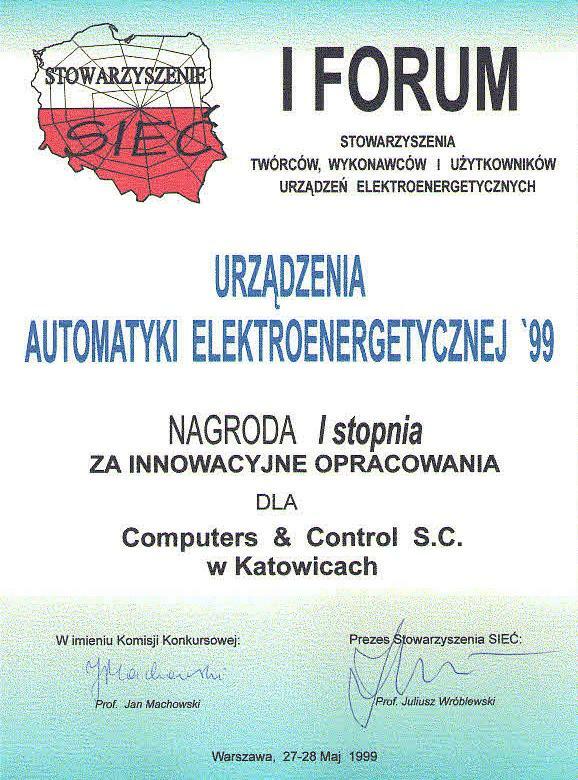 During the 1st Association of Electrical Power Engineering Devices Authors, Performers and Users Forum, organised under the title „Electrical Power Engineering Automation Devices 99`”, the SIEĆ Association awarded Computers & Control with 1st prize for: Innovative Elaborations.